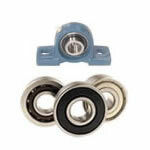 Budget Bearings offers a wide selection of bearing types, our aim is to provide the lowest prices for bearings online. We supply a wide range of taper roller bearings, deep groove ball bearings and inserts, needle roller bearings and rod end bearings at incredibly low prices. We aim to offer the very best prices on plain bronze and wrapped steel bushes, cylindrical roller bearings and thrust bearings, we are confident you won’t find better prices on self aligning ball bearings, loose steel and plastic balls and loose steel rollers anywhere else. Budget Bearings stock a wide range of seal types all at unbeatable prices, we offer the best prices online for metric and imperial size seals, oil seals in both Nitrile or Viton, we stock fork oil seals, o-rings, o-ring cord and v-ring seals at low prices. 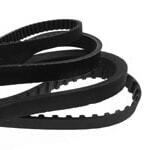 Budget Bearings have an extensive range of belts all at competitive prices, our range includes classical as well as wedge type standard and cogged belts, poly-V belts, drive belts and belts for lawn and garden machinery. 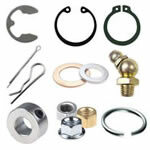 Budget Bearings offers the lowest prices on engineering parts bringing big savings on internal and external circlips, e-clips, zinc plated shaft collars and stainless steel shaft collars, our aim is to never be beaten on like for like prices. 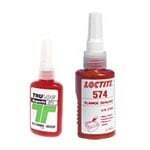 Budget Bearings offer a fantastic selection of engineers adhesives at low prices, our range includes adhesives, thread lock, stud lock and sealants. We buy better so you can buy better. 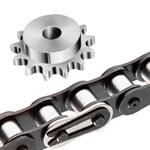 Budget Bearings offer a wide selection of roller chains, roller chain and links and sprockets at affordable prices. We buy better so you can buy better. 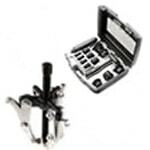 Budget Bearings offer a fantastic selection of tools and tool kits at low prices, our range includes spanners, pressure gauges, hydraulic pumps and grease guns. We buy better so you can buy better. Budget Bearings offer a wide selection of greases for all your applications lubrication requirements. We stock general purpose, low and wide temperature, high-performance, food safe greases etc. at low prices. Our aim is simple, to offer quality bearings and ancillary items at the best possible prices. We buy better so you can buy better too, we never compromise on quality ensuring you are buying great quality products at fantastic prices. We stock hundreds of loose ball bearings and cylindrical rollers, sold in packs and available in both metric and imperial sizes. 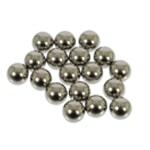 Commonly known as chrome steel balls or hardened steel balls or even just "bb's" or metal balls. Ball and roller bearings are used in an almost endless amount of products, if you are looking for a replacement bearing for your project we have you covered without breaking the bank. Our extensive range of taper roller, needle roller, cylindrical roller, spherical roller, thrust ball and roller bearings, deep groove ball and specialist tiny stainless steel, small and miniature like those used in models are all manufactured by quality brand leaders without the hefty price tag, our superior buying power and lower over-heads meaning we can offer amazing savings on all of our products. A comprehensive range of cast iron, stainless steel and thermoplastic housed and assembled bearing units are available to buy online. We stock a wide range of single and double row radial deep groove ball bearings in both metric and imperial sizes from miniature sizes upwards, metal shielded, rubber sealed and the open type in carbon steel (normal bearing steel) and high grade stainless steel from a wide range of sources. All available to buy online at the most competitive prices online. Our range of oil seals and o-rings are ideal for manufacturing, as replacements in industry or for DIY enthusiasts. We have a selection of single and double lip / double sealing face and spring-less oil seals, all at fantastic prices. At Budget Bearings we also stock a full range of bearing fit and retainer, sealing grade, shaft grade, stud grade and hydraulic sealants as well as instant gasket and joint compounds. We deliver bearings and rotary shaft seals both internationally and nationwide from the Scottish Highlands, Midlands and South making bearing buying in the UK online simple, no more fishing around for parts for mowers, motorbikes, cycles, printers, trailers, caravans or for the boys bearing fitting on industrial machinery with our simple 4 clicks maximum to your bearing solution. We sell a wide range of bearings and ancillary products that can be used for an almost unlimited range of applications, our bearings are commonly found in cars, motorcycles, model planes, boats and cars, they are used extensively in gearboxes, transmissions, and alternators. There are many uses for our systems in agriculture, industry and even the printing and packaging industries. Our housings are available in both imperial and metric sizes and are manufactured in a variety of materials including cast iron, steel and thermoplastics, there are a full range inserts also available. We offer a comprehensive delivery service with a range of methods and costs to suit your needs, using our range of carriers - Royal Mail, DPD, FedEx and UPS we can deliver our products to you when you want and wherever you need.